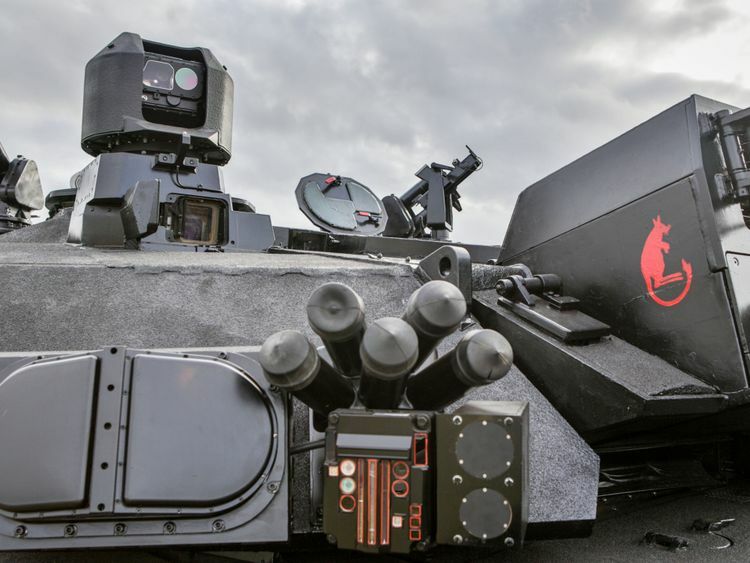 An upgraded version of the British army's tanks has been developed - complete with night vision and a laser warning system. BAE Systems has unveiled the enhanced tank, dubbed the "Black Night", in the hope the Ministry of Defence will purchase the upgrades to ensure the army has the best equipment possible.It is an upgrade of the Challenger 2 tank built by the company in the 1990s, which has been used in Bosnia, Kosovo and Iraq.Black Night, which would be used alongside current tanks, include a front and rear infrared camera on each tank to allow the gunner to focus on one target while the commander identifies other targets. Created at BAE's combat vehicles hub in the West Midlands, the upgraded tank can also detect incoming anti-tank missiles or armour penetrating rounds and automatically launches a counter-explosive to neutralise the threat.It can also identify the source of enemy weapon systems then automatically point the gun at the source.